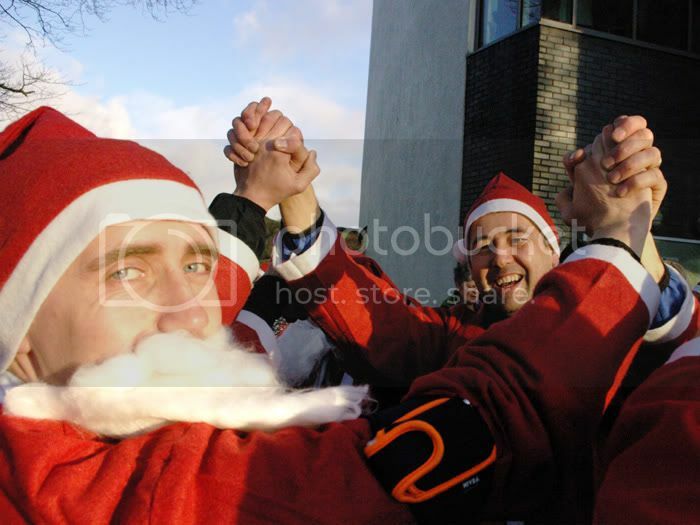 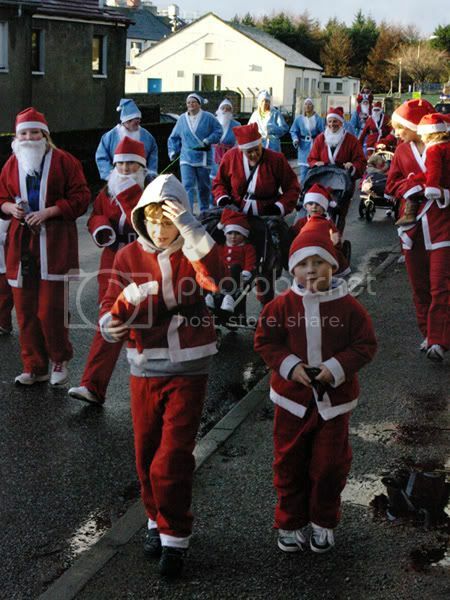 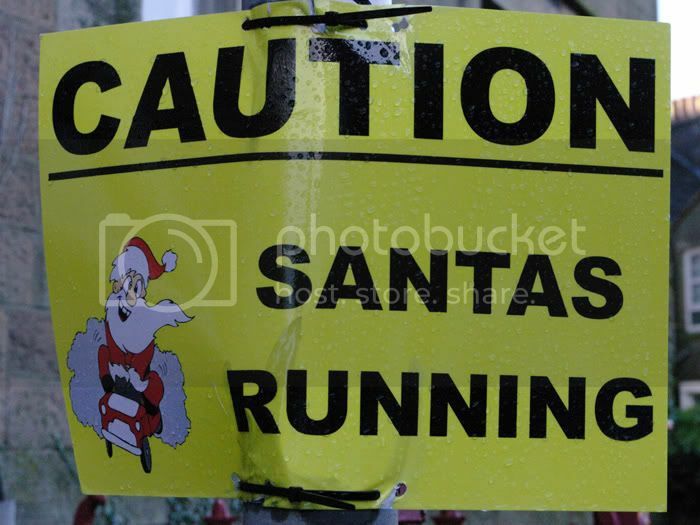 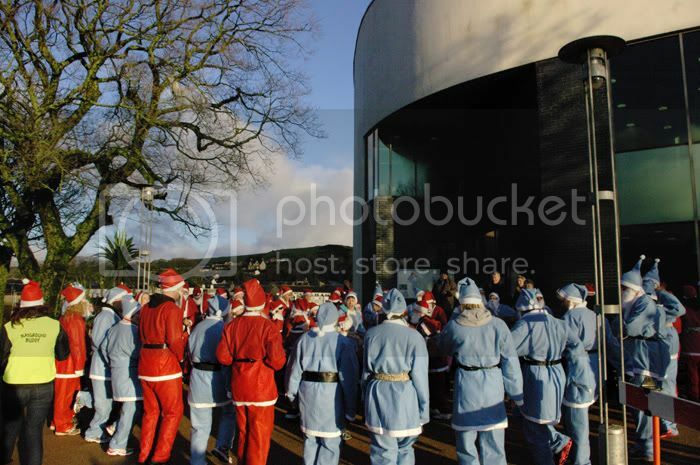 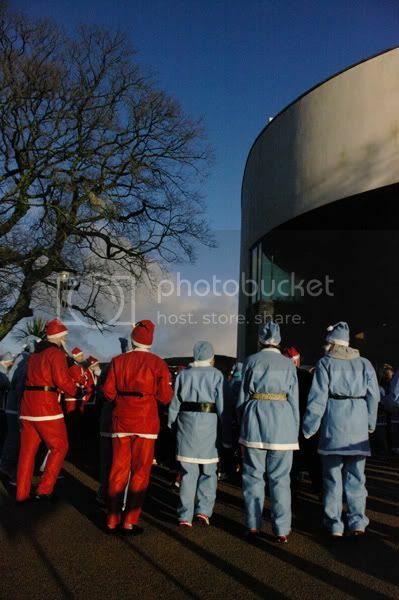 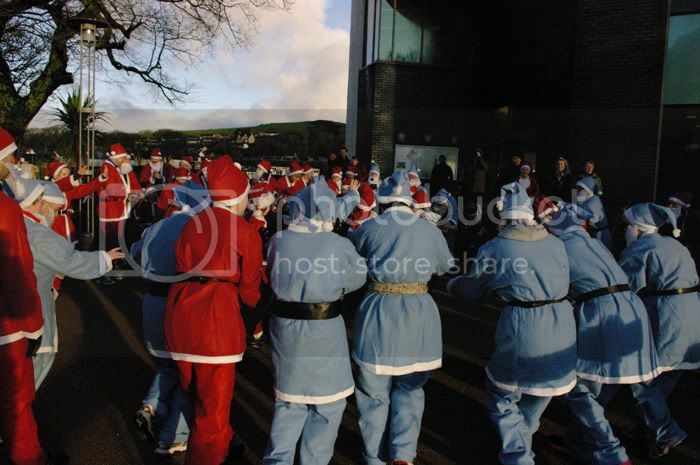 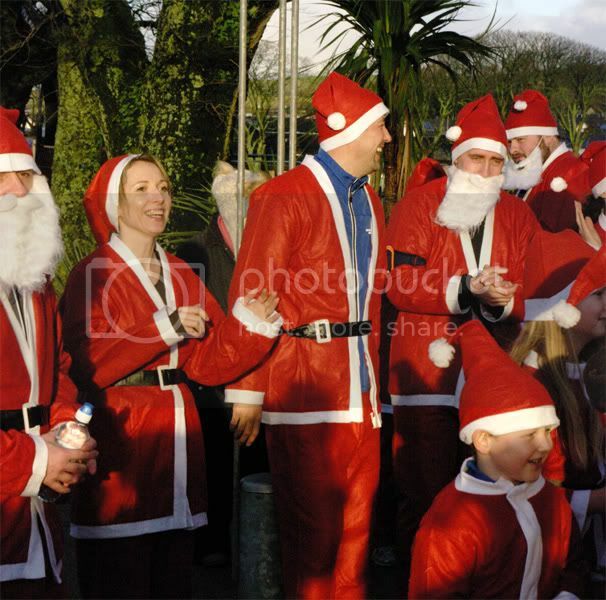 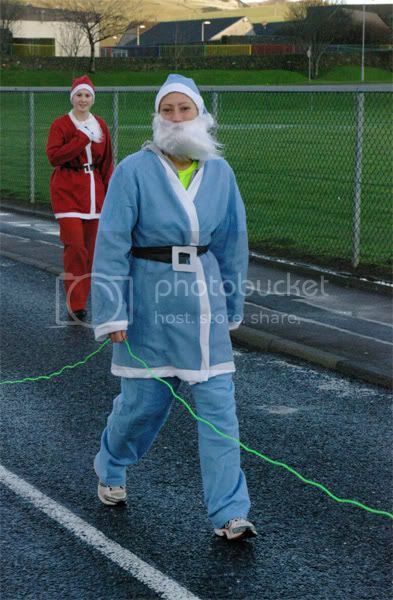 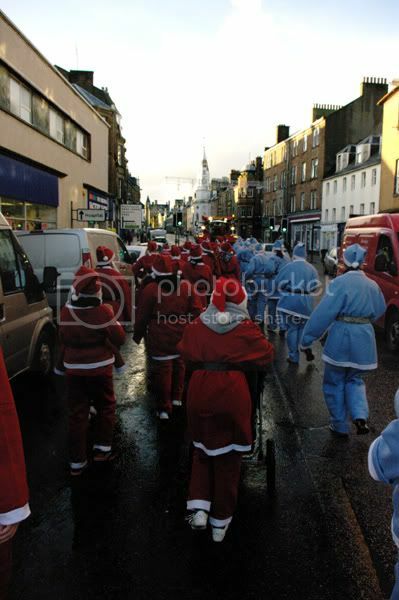 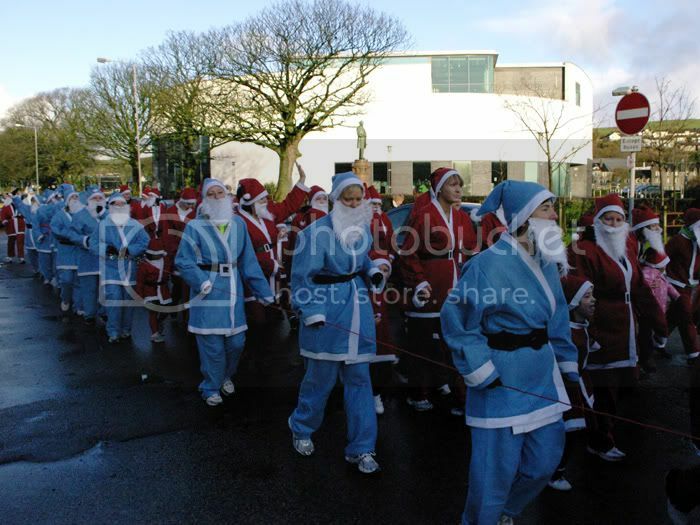 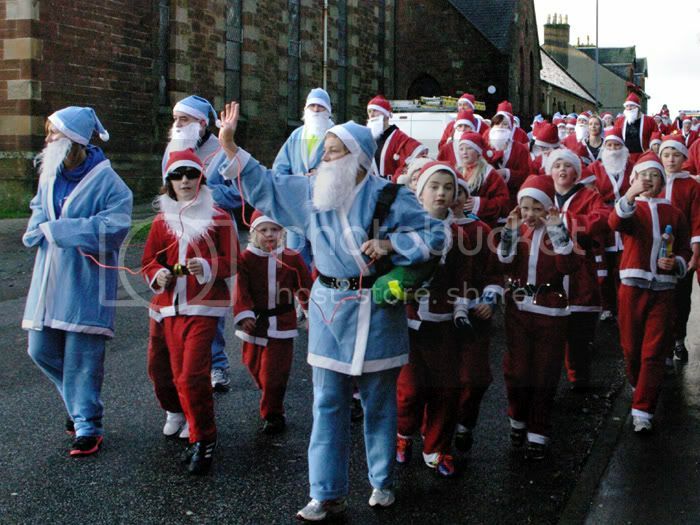 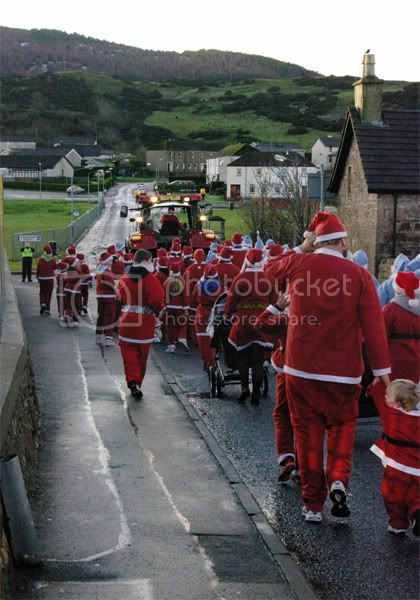 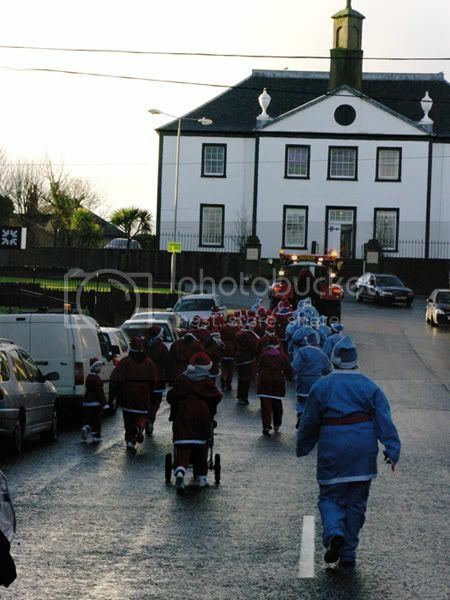 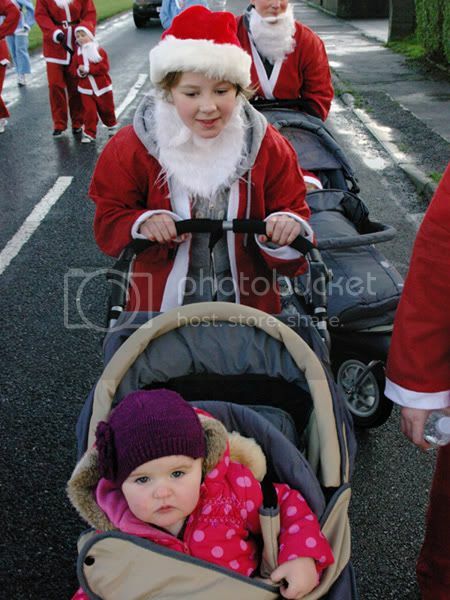 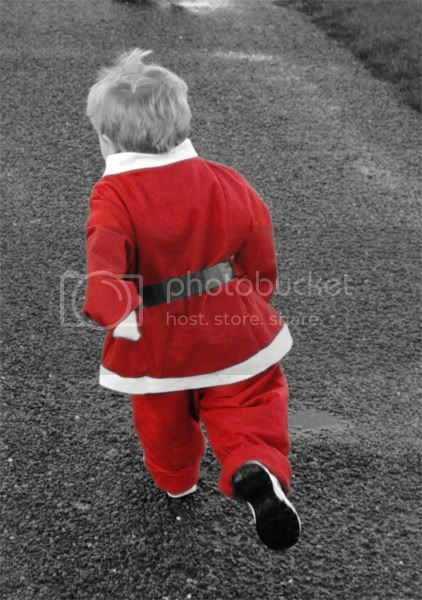 The Kintyre Forum • View topic - Santas dashing through Campbeltown! 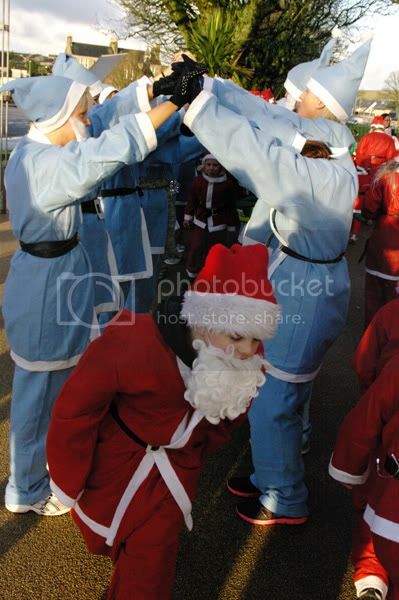 With photos. 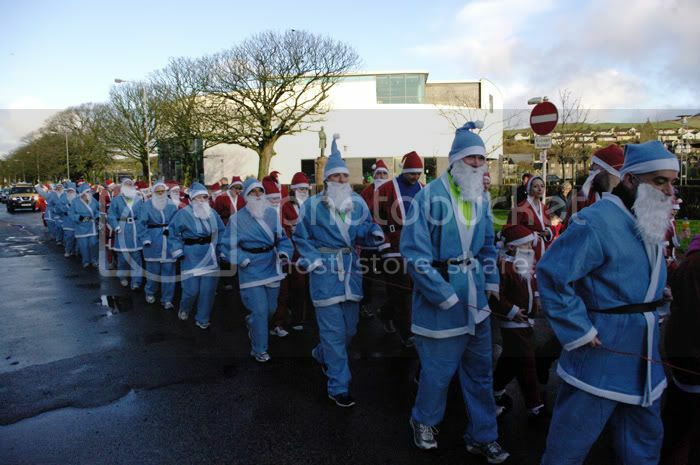 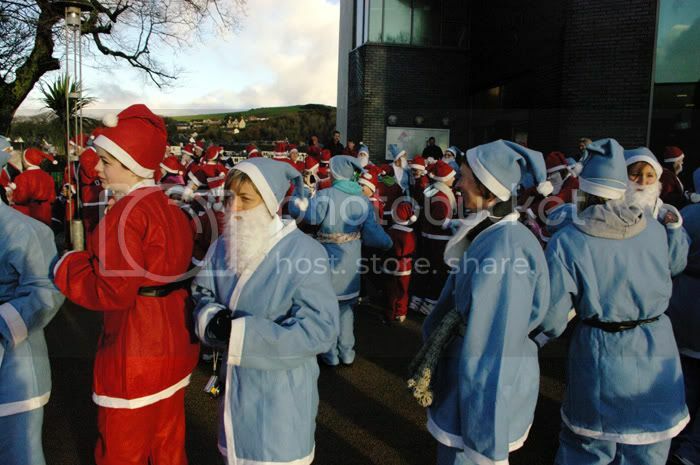 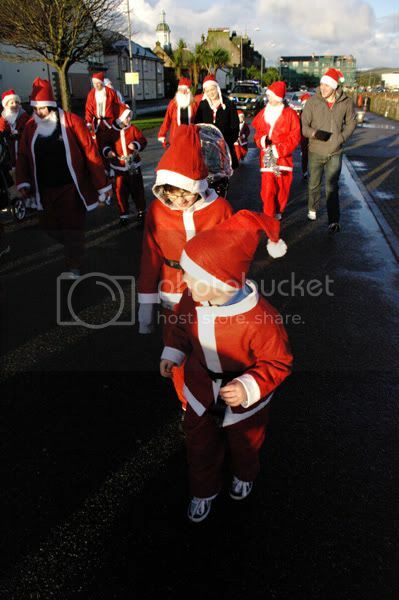 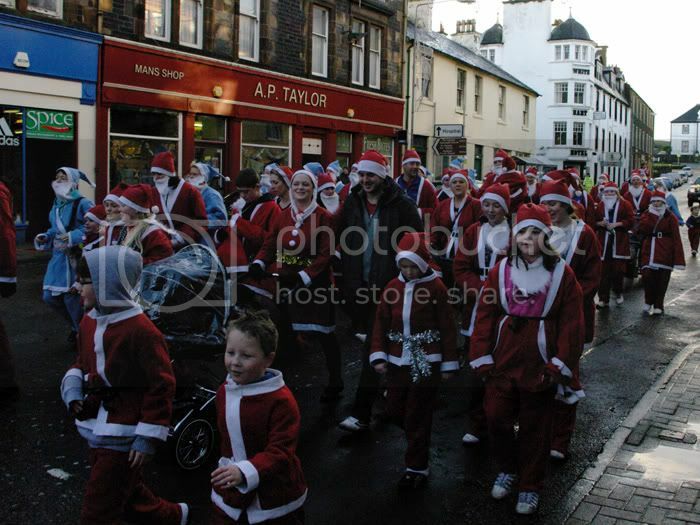 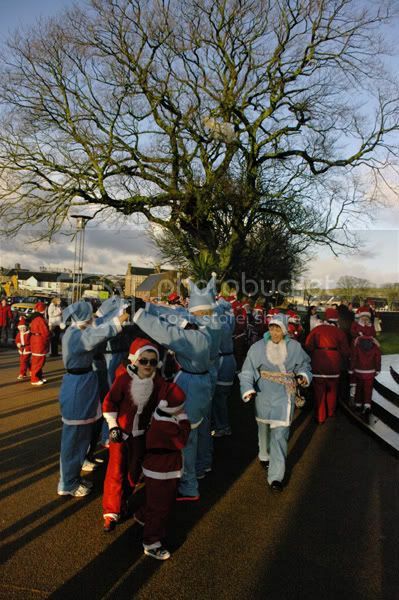 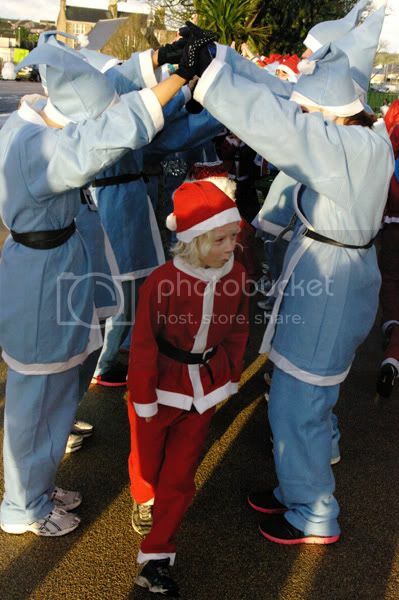 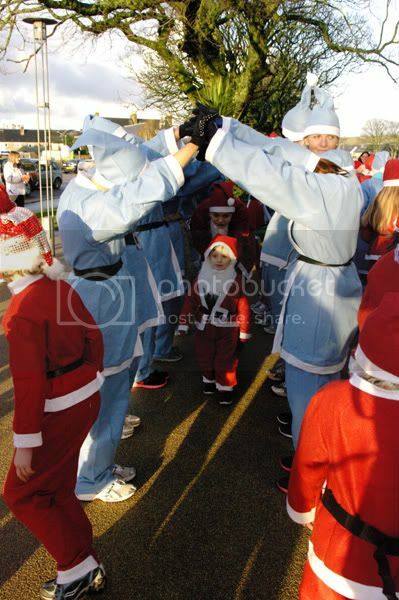 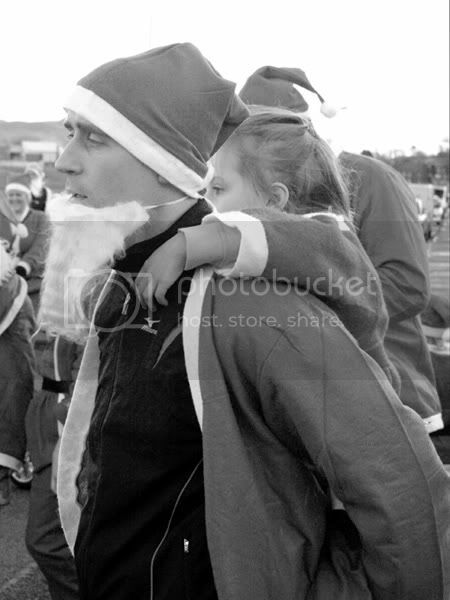 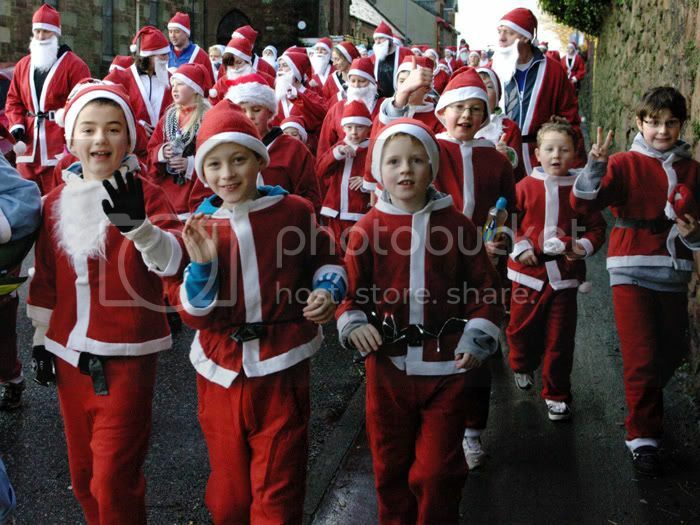 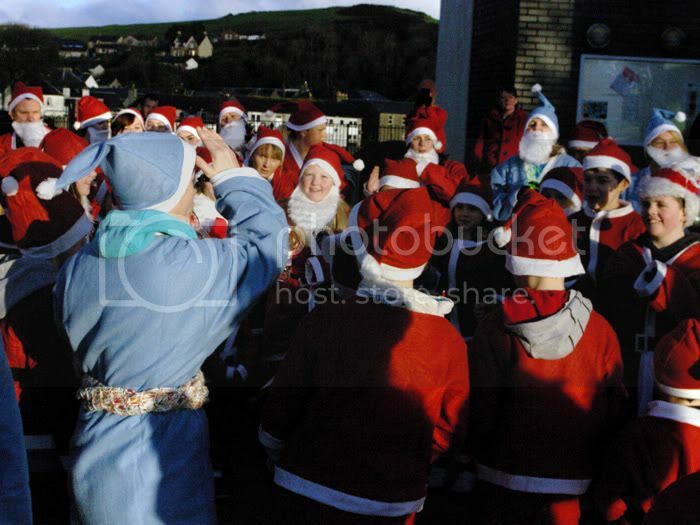 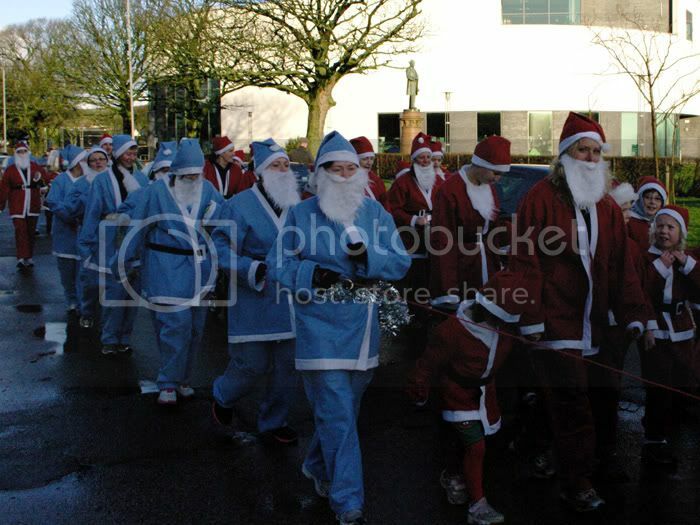 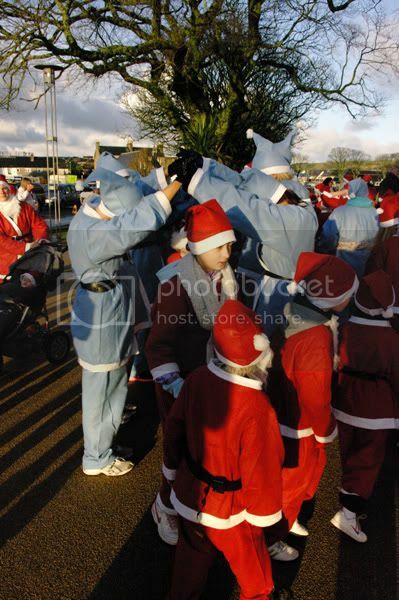 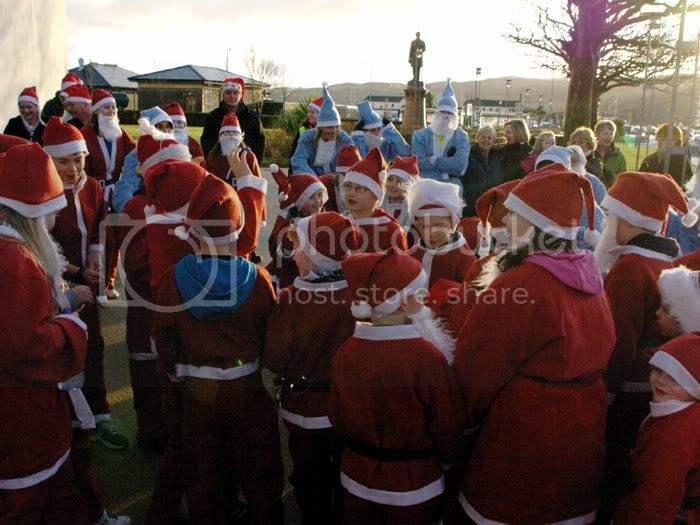 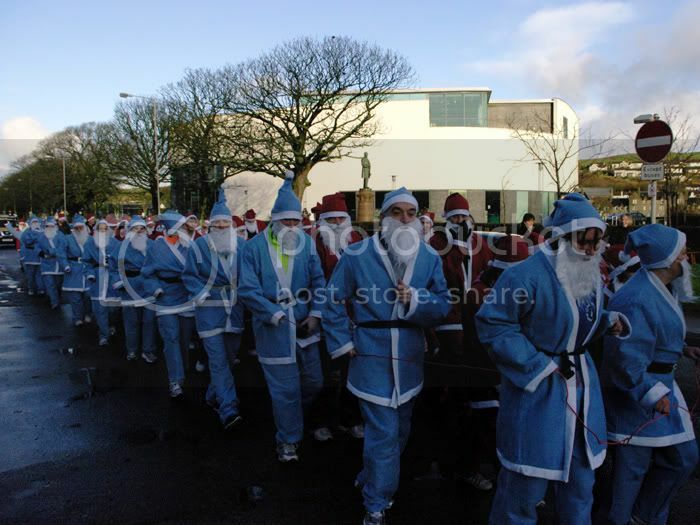 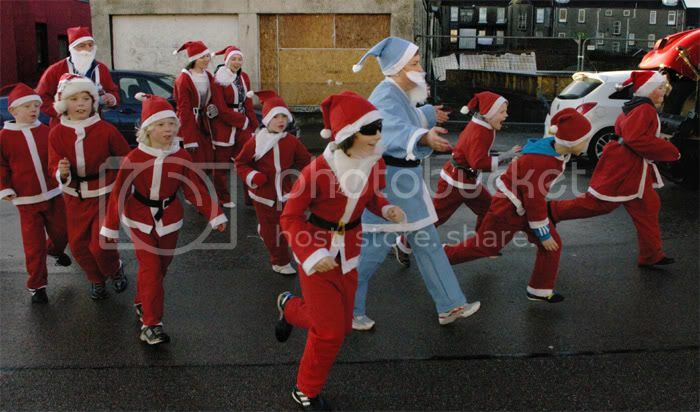 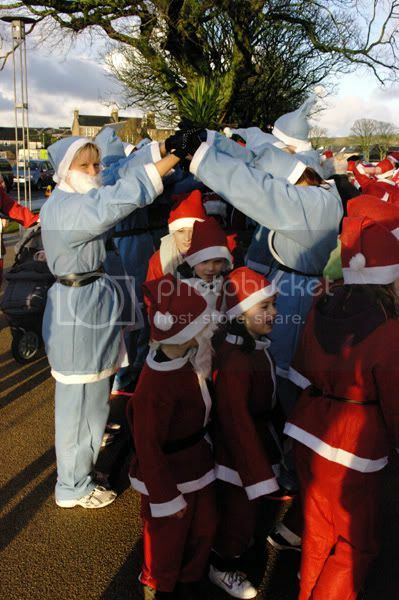 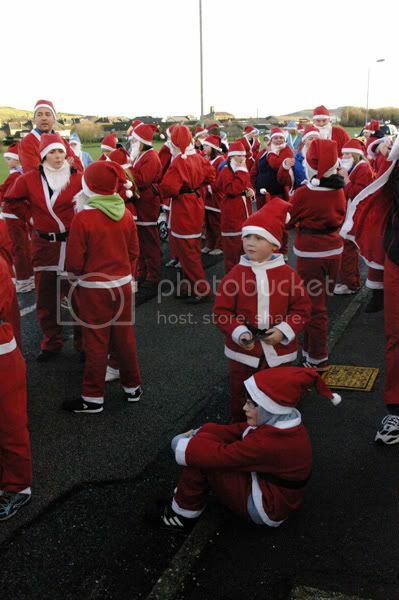 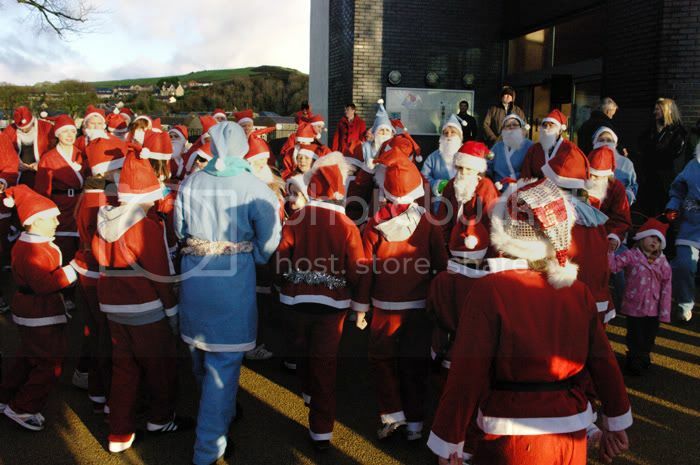 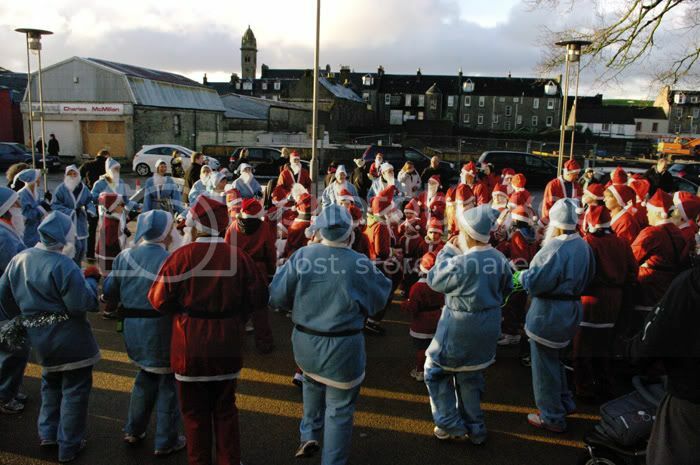 Campbeltown hosted its second official Santa Dash today on a lovely crisp cool winter's morning. 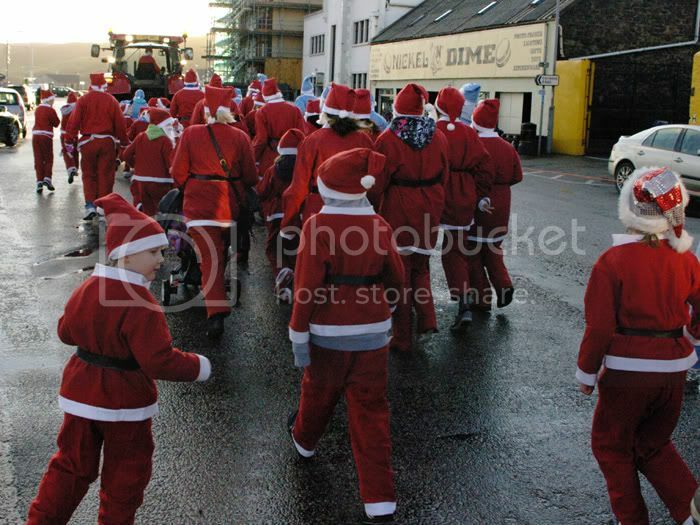 Around 80 Santas of all ages (and sizes! ) 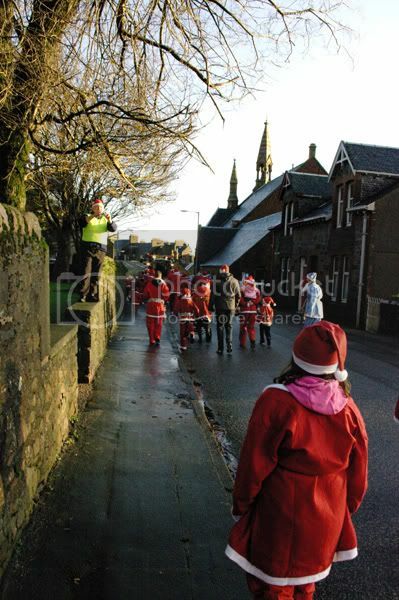 lined the streets to celebrate the festive season as the ran, jogged, walked and skipped their way round the 3k route with much laughter and enjoyment. 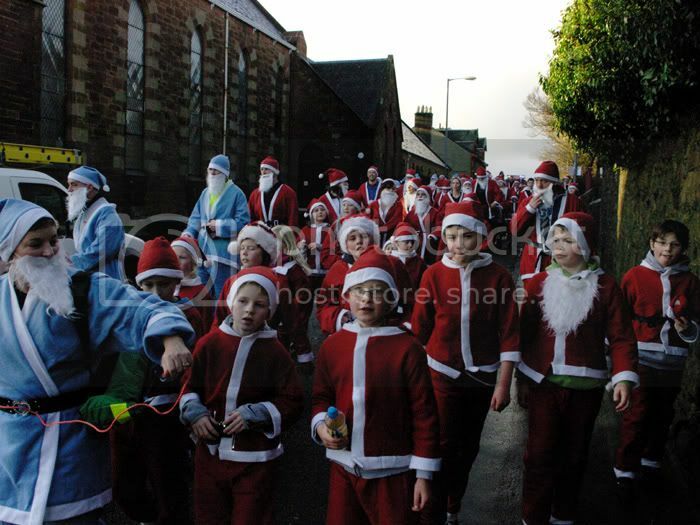 The event was run in partnership by Argyll and Bute Council’s Active Schools Team, Jog Scotland, Campbeltown Running Club, The Campbeltown Town Centre Regeneration Project and Aqualibrium and a huge pat on the back goes to all of those who helped organised this year's event which was a huge community success. 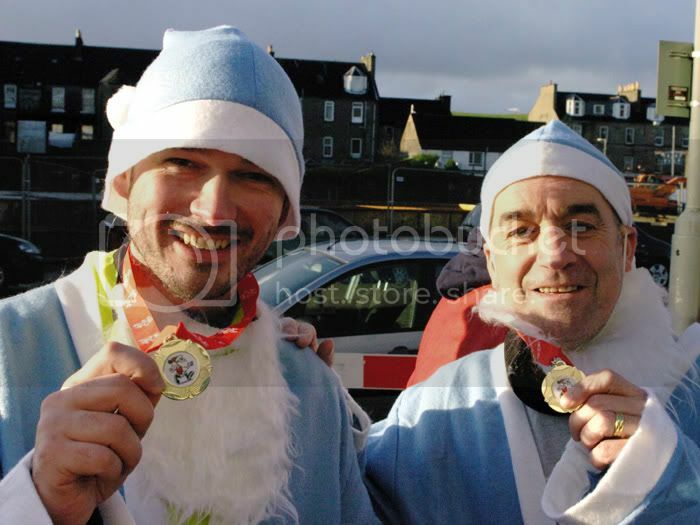 Everyone who completed the route were presented with a well deserved medal at the end and treated to some well deserved tea, coffee, juice and mince pies. 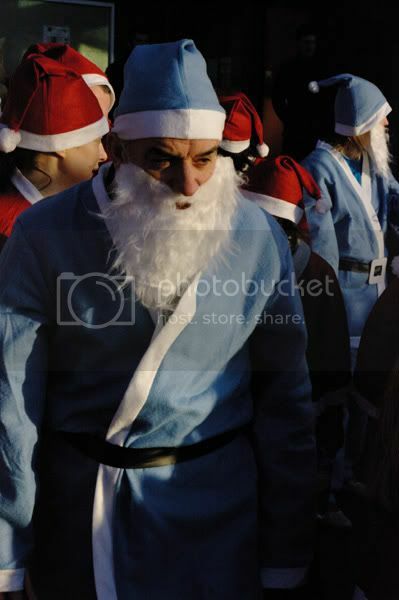 Looks like a rather grumpy Santa! 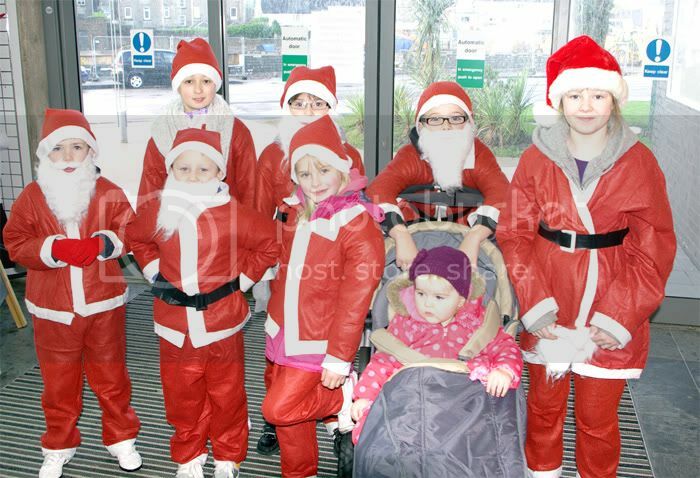 Last edited by Kintyre Forum News on Sat Dec 17, 2011 5:06 pm, edited 1 time in total. 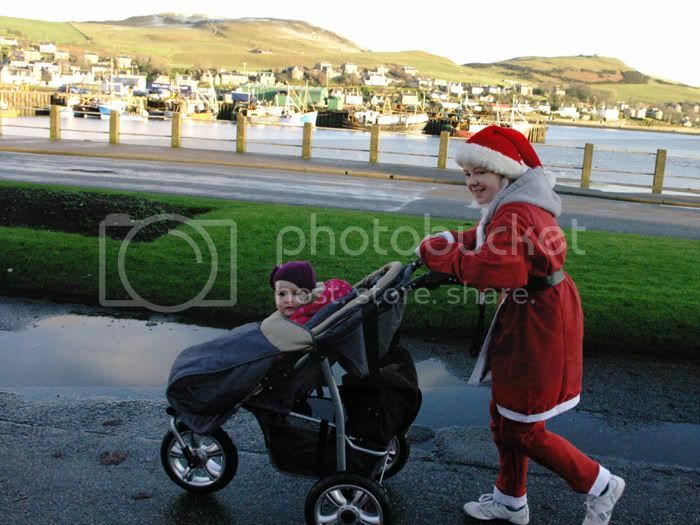 Re: Santas dashing through Campbeltown! 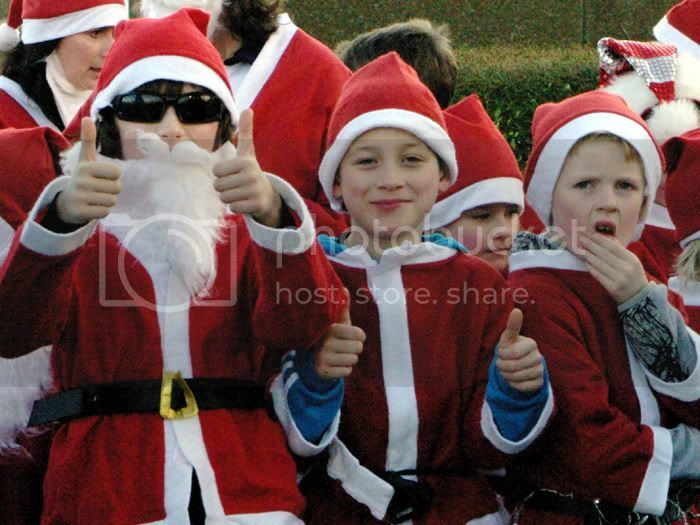 With photos. 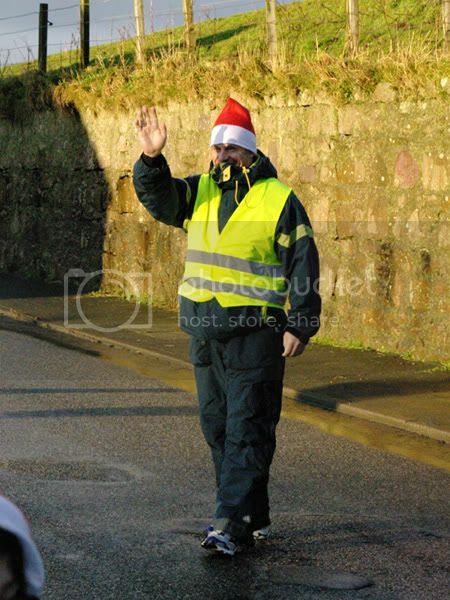 Brilliant photos Davie P . Thanks for capturing the day and well done to all the organisers especially to Fiona Irwin ,Lindsay Ramsay and Aileen McLennan A great community event for the wee Toon . 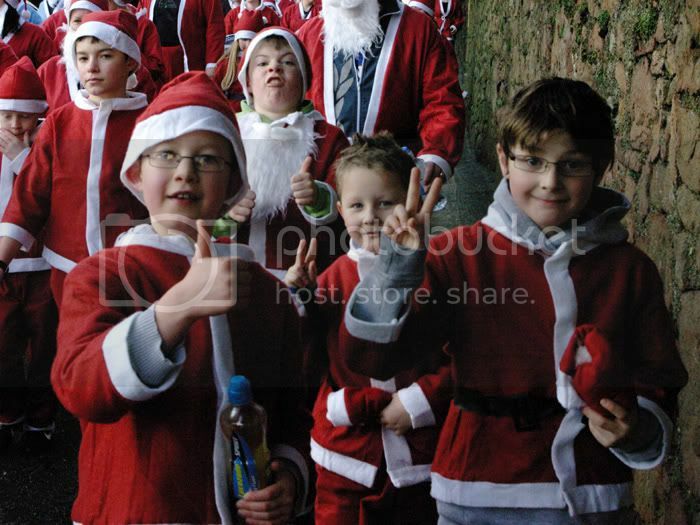 What amazing pictures David!! 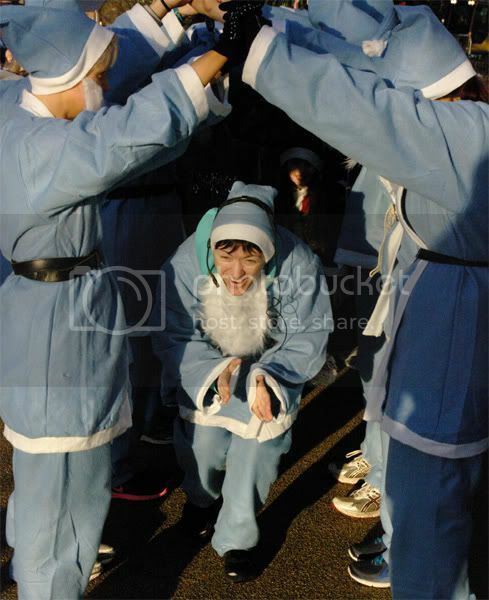 Thankfully you can't see my face in the most unflattering ones!! 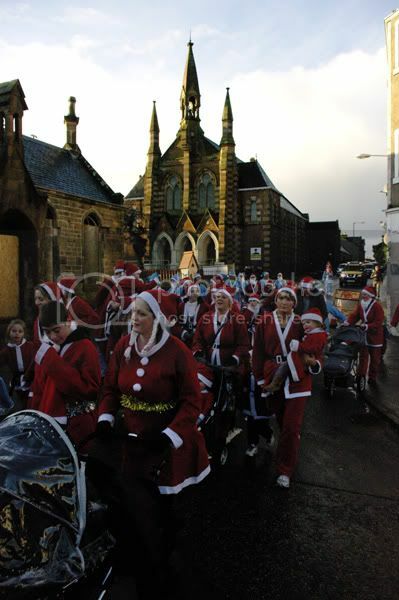 Well done Aileen, Lindsay and Fiona for all your hard work and how nice to see a great community event like this involving the wee people!! 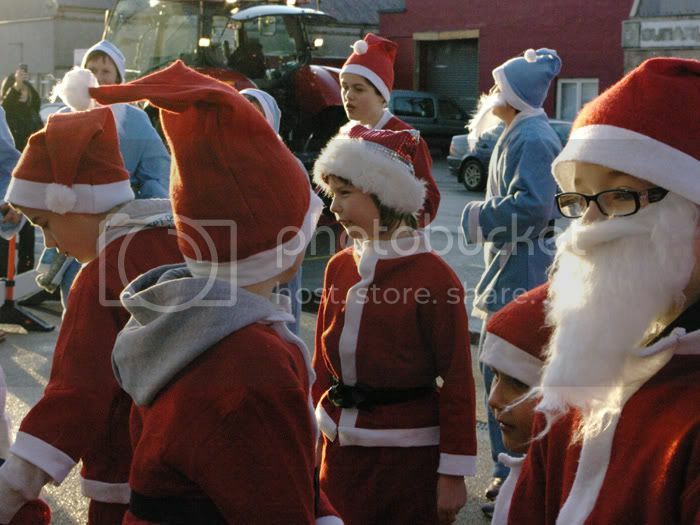 Can the tractor have speakers blasting the Christmas tunes next year? 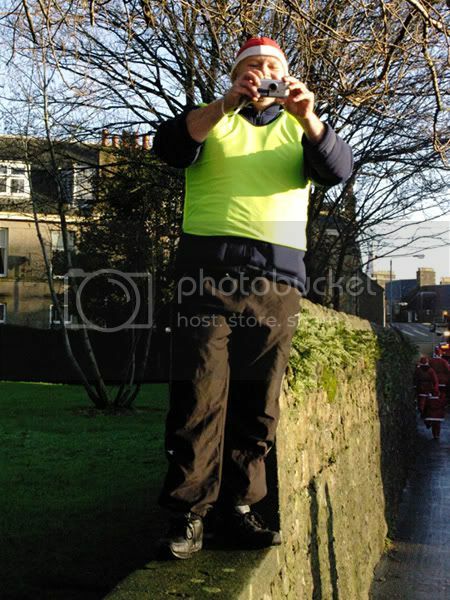 Ags wrote: What amazing pictures David!! 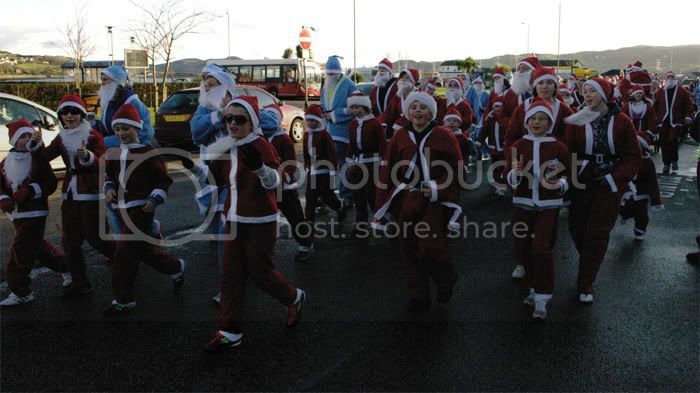 Thankfully you can't see my face in the most unflattering ones!! 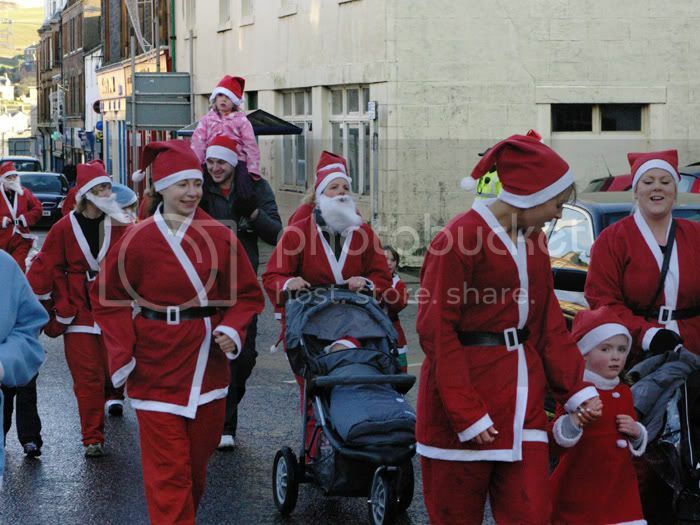 Well done Aileen, Lindsay and Fiona for all your hard work and how nice to see a great community event like this involving the wee people!! 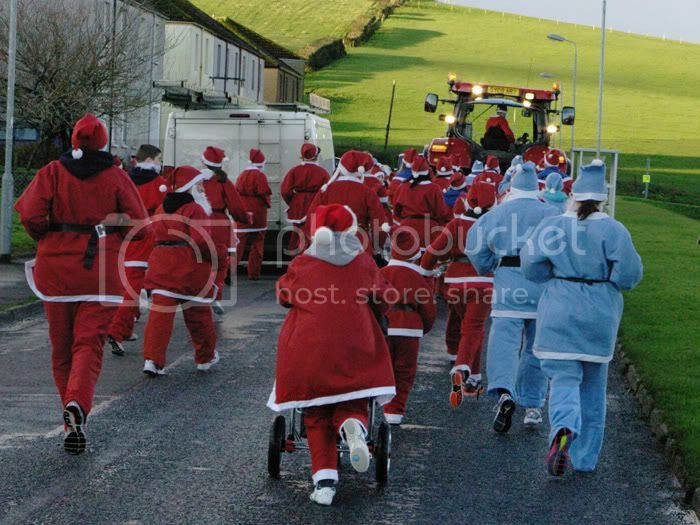 Can the tractor have speakers blasting the Christmas tunes next year? 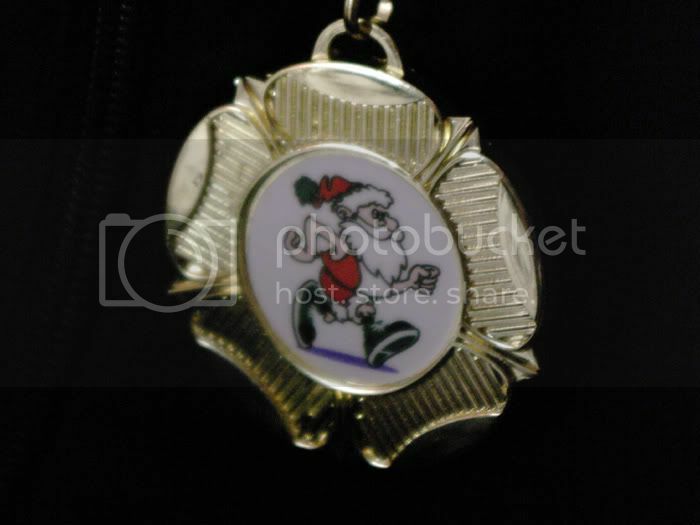 I could see all these young flas champin' at the bit. 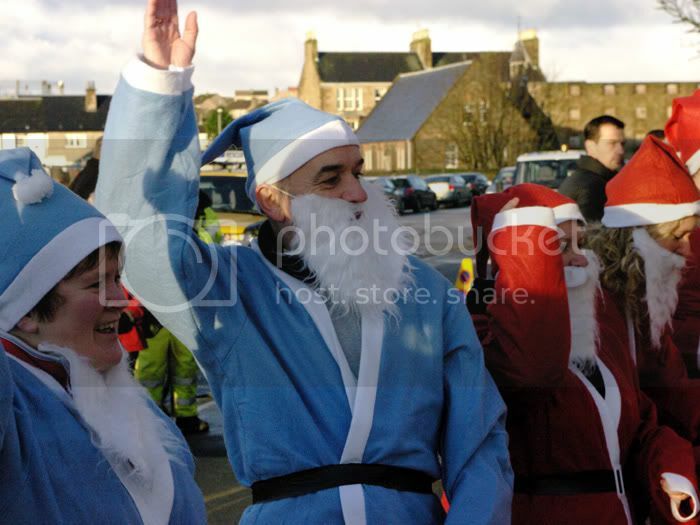 Despite the photies, honest I am not Bad Santa. 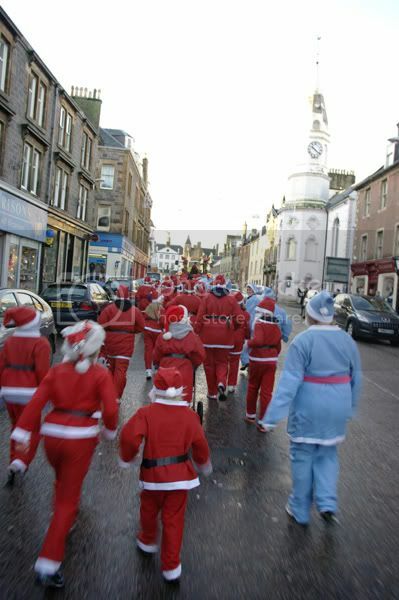 The tea and mince pies fair gee'd folk up. 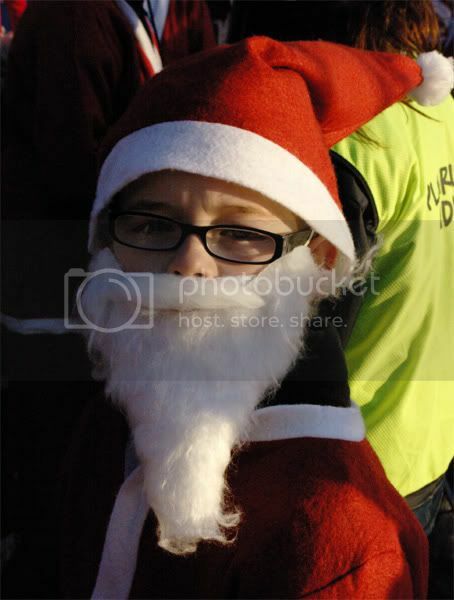 Thanks Linsay and all else for making this happen. 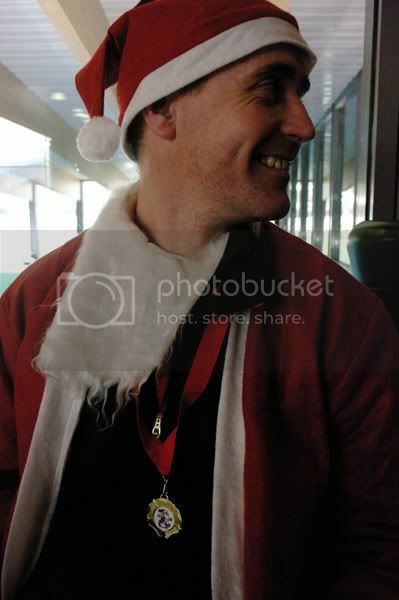 Rabmacd wrote: Despite the photies, honest I am not a Bad Santa.